During the last couple of months, I have developed an interest for the Nigeria National League, the second level of Nigerian football. During the summer, I will write short articles about teams from the Nigeria National League 2012 and focus on the many interesting players at the different clubs. 36 Lion FC is an interesting club based in Lokoja, the capital city of the Kogi State in central Nigeria. 36 Lion FC was originally from Lagos but has now relocated. The club is perhaps most known for producing Ezekiel Imoh (born 24.10.1993), the talented young striker who scored his first ever league goal for Standard Liège (Belgium) on 06.05.2012. Midfielder Ugonna Ezenwaka (born 18.01.1992), a star player at Ocean Boys FC and the Nigeria U-20 national football team, is another player with background from 36 Lion FC. 36 Lion FC has their own homepage which is quite good: http://www.36lionfc.com/. According to http://www.nigerianationalleague.com/, 36 Lion FC ended the season as number 7 of 9 teams in “Division A” of the Nigeria National League 2012. The club scored 16 goals during their 16 matches. I’ve been able to find the scorer of 12 of these goals. The star player of 36 Lion FC is arguably Sodiq Popoola (born 07.08.1994) who scored at least four league goals during the season. Popoola is an attacking midfielder or winger who has been described as a “midfield dynamo”, the “star player” and the “player of the season”. Popoola is apparently 168 centimeters and 70 kilos and is a skillfull and lively player with a great shot and solid passes. Popoola has also been part of the Nigeria national beach soccer team. Apparently, Popoola was a trialist at Standard Liège (Belgium) in May or June. The picture of Popoola was found on http://www.36lionfc.com/. Dele Oshobe (born 25.11.1993) is another key player in midfield. Oshobe is a powerful player known for tackles and hard work. Habeeb Bello (born 10.01.1993) is a combative midfielder with an eye for goal, having scored at least three goals during the season. The speedy left-winger Nwakaji Solomon Chigozie (born 23.12.1994), who often wears the name “Gozie” on his shirt, is another interesting player. Chinonso Onuh has been described as the star striker at the club. Onuh, who often wears the name “Nonso” on his shirt, scored at least two of the 16 goals scored in 2012. The towering striker Nifemi Kabiru Dunmoye (born 30.04.1988) is known for his aerial strength. Adebayo Ayeni (born 23.01.1993), Olamilekan Ayuba Azeez (born 20.09.1993), Michael Adebayo Mayowa (born 18.05.1994) and Peter Osuagwu (born 27.09.1993) are all defenders who I think has played rather regularly. Other players worth mentioning are Ismail Bakare, Bankole Kayode, formerly of the Westerlo Academy, Afeez Saka, who has been part of the Nigeria national beach soccer team, and Chukwudi Ugwanya. Azeez and Bakare has scored at least one league goal during the season. Abonima Izuegbu (born 27.11.1994), a central defender or defensive midfielder who played for the Nigeria U-20 national football team during the Cape Town U-20 International friendly tournament earlier this year, was playing for 36 Lion FC but has apparently joined Sharks FC. 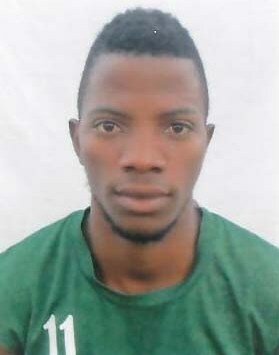 It is unclear whether this talented player has been part of 36 Lion FC during the Nigeria National League 2012. MY NAME IS FEMI I PLAYED FOR ADESHINE ACEDEMIC FOOTBALL TEAM.ALAGBADO.HOW CAN I GET INTOUCH WITH THIS FOOTBALL CLUB.